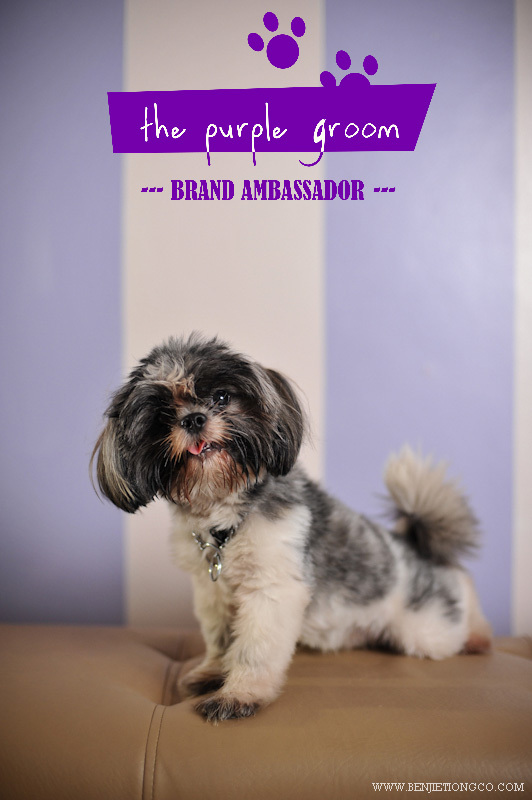 Remember my post about The Purple Groom a couple of months ago? 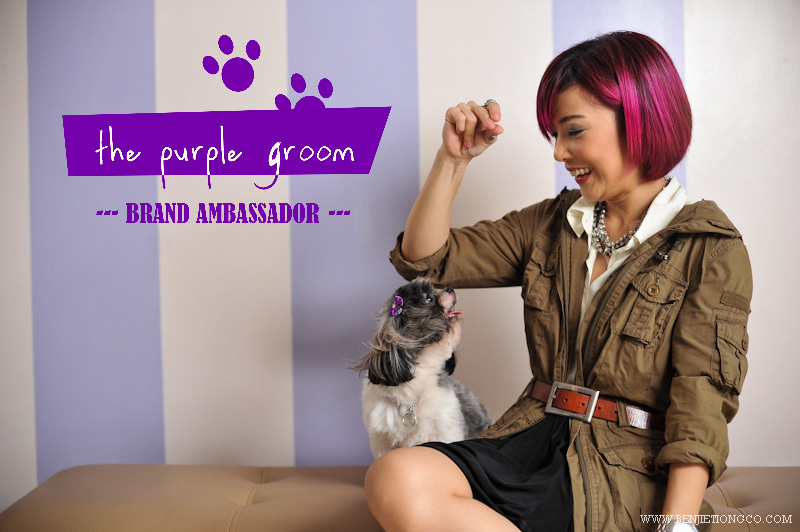 They chose several bloggers and their dogs to be brand ambassadors. Me and Chewy were lucky enough to be chosen as one of them. 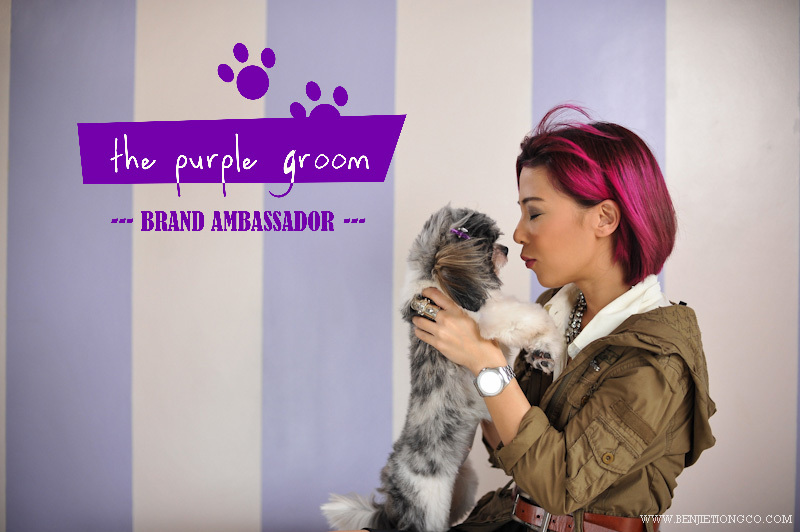 The Purple Groom is the premier grooming salon in the country and we feel so privileged to be representing the brand. Aaaand after much anticipation, I finally received the final photos! Say Hi to my fur baby, Chewy! 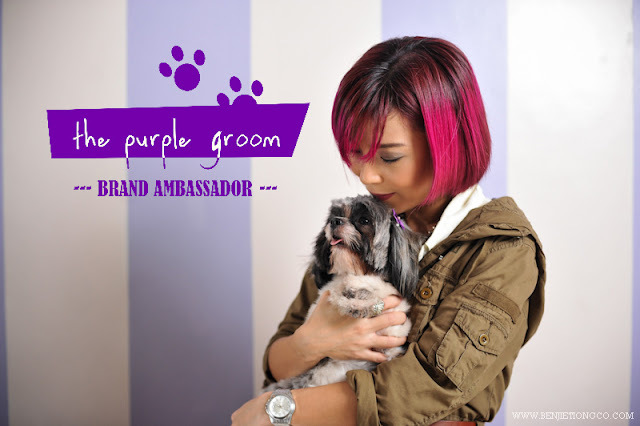 Special thanks to Marj Sia for inviting me, Benjie Tiongco for the wonderful photos, Bench/The Face Shop for styling, hair and make-up, and of course Mr. Jayme Chua of The Purple Groom! lovely photos you've got here with Chewy...:) if only our furkid Lulu has got plenty of hair...i would've dolled her up...in many ways...but she's got this barely there coat and as much as her name sounds so girly...she's so siga....lol;)!!! Chewy is so adorable! I love dogs too.